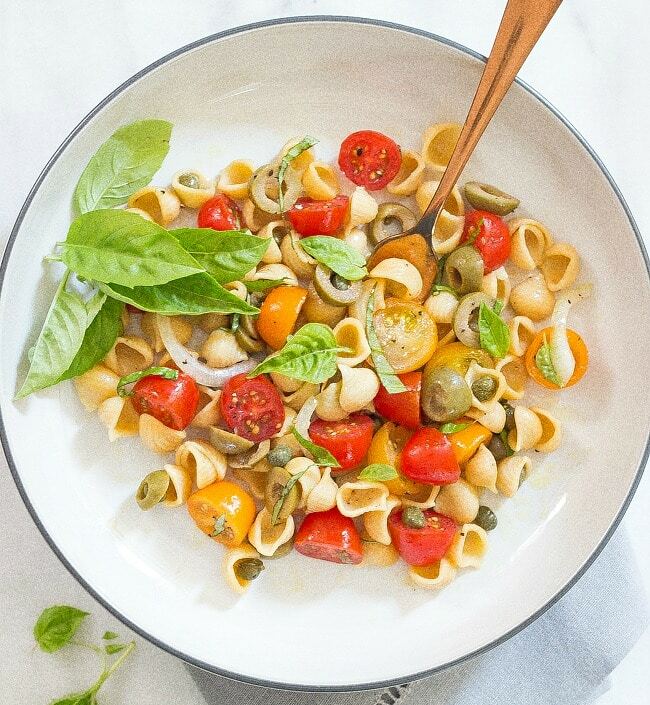 This Easy Pasta Salad with Tomatoes, Olives & Basil is a five ingredient dish that makes the most out of fresh summer produce. 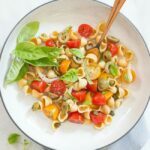 I love Chickapea pasta for a healthy salad and the shells seem to be especially well suited to this simple dish. This pasta contains only chickpeas and lentils It’s also packed with protein and fiber – perfect for a quick and easy meatless meal. Use good quality olive oil of your choice. 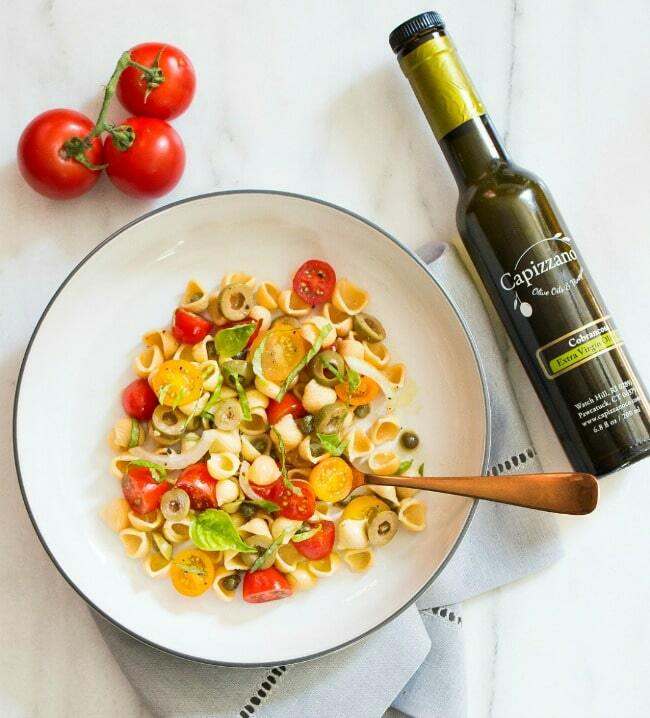 because the success of this dish is entirely dependent on a high quality olive oil. Let your tomato mixture marinate for a minimum of 30 minutes and then add your cooked pasta. That simple! I like to drizzle a little more oil on top once they are combined but that is optional. Combine tomatoes, red onion, olives, capers, basil, olive oil, salt and pepper. Let marinate for 30 minutes on counter or refrigerate for up to 2 hours. Combine pasta and tomato mixture. Drizzle additional olive oil if desired.